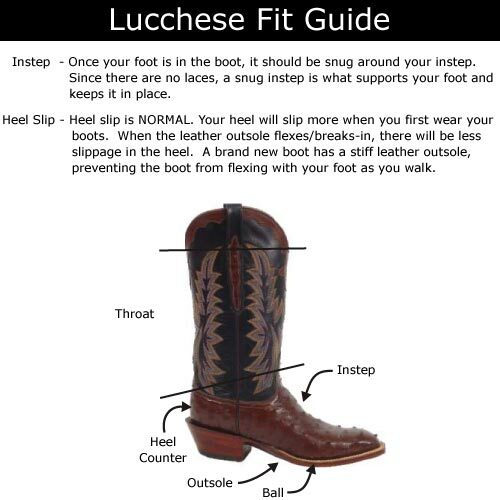 The Lucchese® Catalina has a classic, lived-in look with a long-lasting leather interior. 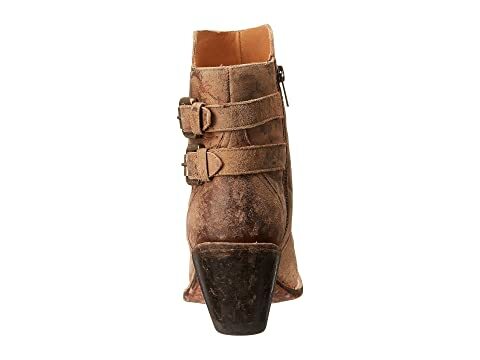 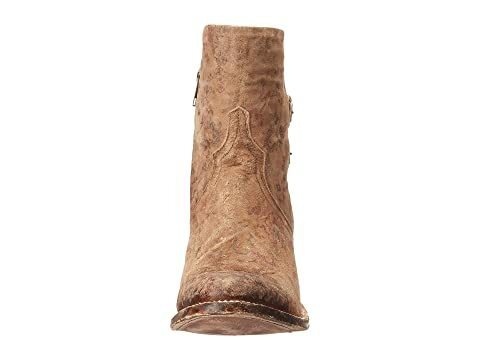 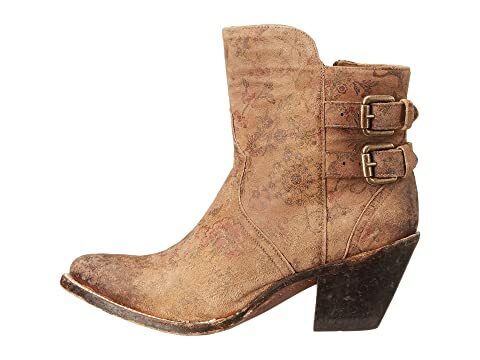 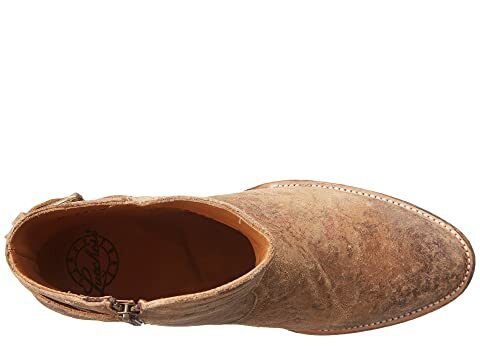 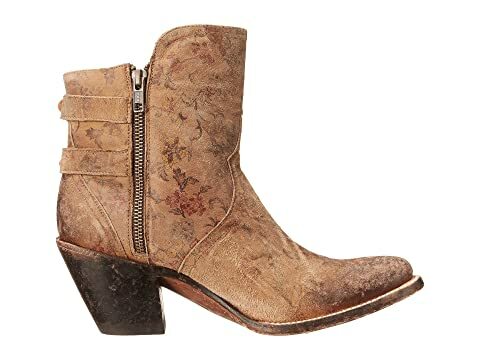 Distressed calf leather upper with a subtle floral print. 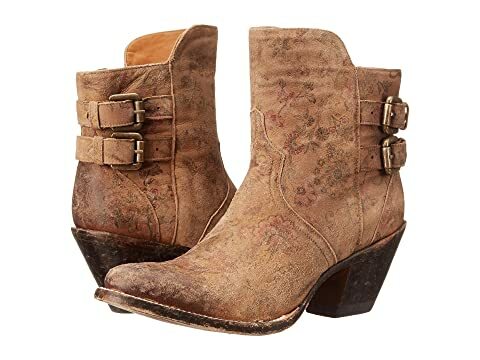 Features an asymmetrical topline and two adjustable buckles at shaft. 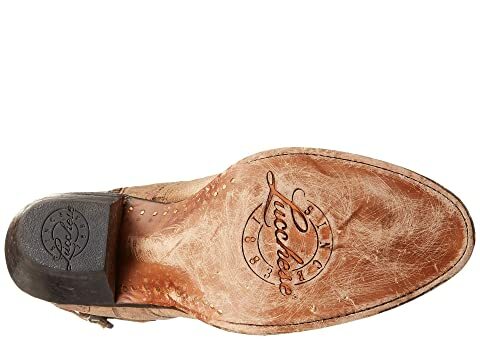 Scoured leather outsole with rubber heel tab provides excellent traction and long-lasting durability.